Instagram is currently the King of Engagement with 2.5 billion likes per day and now seeing 15x more engagement than Facebook — and 20x more than Twitter! 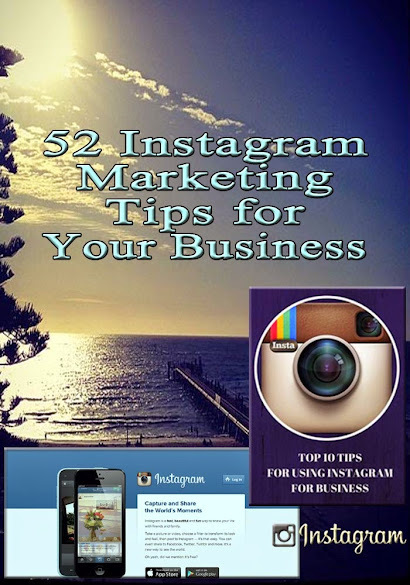 Instagram is also, still a free social media marketing platform for small business owners to brand and promote their business. As a small business owner, you definitely don’t want to be missing out on all of the opportunities that Instagram Marketing offers by making these mistakes we will be outlining below. Making your Instagram account private will turn off potential followers who are also most probably your ideal audience. This is because firstly, the user sees a private icon and then they have to wait for you to accept their follower request. Also, they can’t see your great content so they have no idea what content they would be signing up to see in their feed if they choose to follow you. There is no problem with making an Instagram account you have chosen to be a personal one private but for a Business account, the ideal is Not to set it to Private. As a Small Business Owner on Instagram, If you post the same thing over and over again on your Instagram account such as selfies, you will turn off potential and current followers as they will get bored. It is important to have the right mix of content which is a mix of content that Inspires, Educates and Entertains. There is nothing wrong with posting several times a day on Instagram, but if your posts are too close together, like 2 or 3 within the hour, it will turn off followers as they might start to feel spammed. Also some followers might just scroll through your pictures in their feed if too much, without engaging by liking and commenting on them. When people comment on your Instagram posts, be sure to respond. This shows that you are paying attention to your audience and secondly, that you care about your audience. Secondly, your response might also spark off some more conversation and engagement around your post and Instagram account. Hashtags are the way you get found on Instagram by your potential audience and clients so not using hashtags means you will be missing out on a great deal! You can also create and use hashtags specific to your business as this helps you monitor conversations on Instagram around your business and brand, for example, I use #InstaBizGrowth for my Instagram Online Course. There is only 1 clickable link within your Instagram account and that is in your Bio area, so make sure you provide a link that allows your target audience to get to know you better and allows you build a relationship with them such as the Link to a Landing page where you are giving away something FREE or a link to your blog. You should also let visitors to your Instagram account know how you can help them achieve their goals or move them from one point to the other. The first way we get to know someone when we meet them physically is their face. It’s the same in Social Media, people can’t connect with you without putting a face to the name, that is, your profile picture. In essence, people will probably not follow you without a profile picture. So be sure to have a profile picture on your Instagram account! Buying Instagram followers might make your Business/Brand look like you have a large following but there will be no engagement and / customer conversion from your Instagram account as those fake accounts were not your target audience in the first place. If you do not share content of value with your Instagram followers, they will most probably forget about you, not see you as an expert in your field, and in the long run, when they require products and / services from your field of expertise, they will look to another expert who has been providing value and not you. Using tools to automate your comments to your follower’s Instagram posts will make you appear unauthentic and spammy, and might get them to delete your comments or even block you. A great example is where your follower as posted a video, and your automated content says “nice photo” or “nice idea” when it wasn’t even one! You should ideally search for your target audience on Instagram using hashtags and then engage with their comments. For your current followers, be sure to always like and comment on their relevant posts too. Do you have any burning questions about How to Brand and Promote Your Business on Instagram? Then I am your girl! Simply reply to this email or email me directly at Tobi@TobiAwoyemi.com with your question and I will be more than happy to help you!